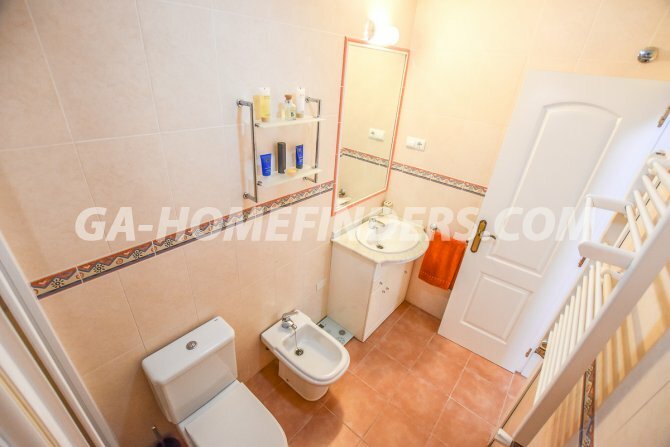 Half furnished townhouse, has two bedrooms and two bathrooms. 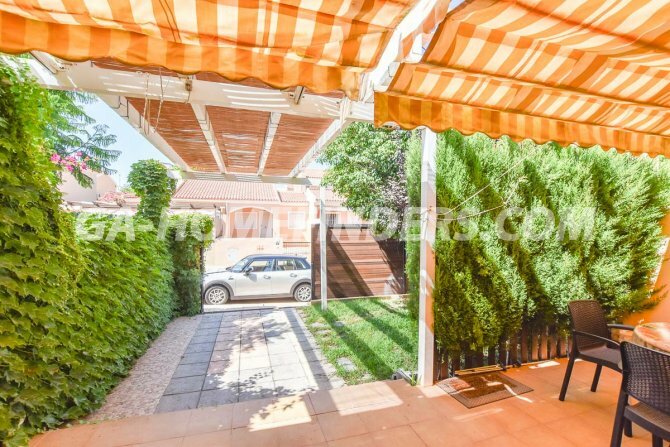 It has a large garden with space to park a car. 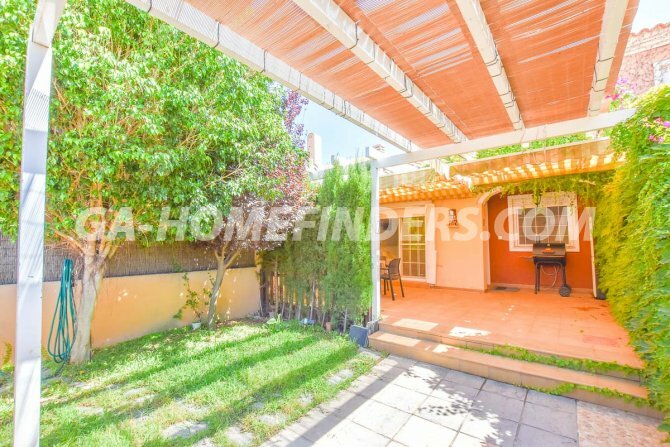 The terrace is covered by an awning, all the windows of the house have blinds and security grills. 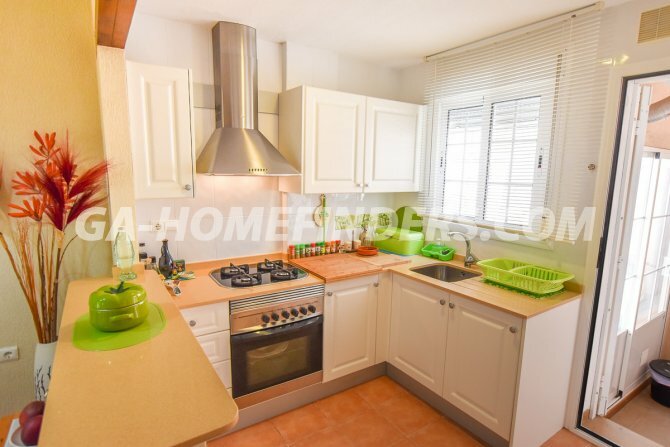 The kitchen is modern, open American style with appliances, has a gallery and an additional storage room. 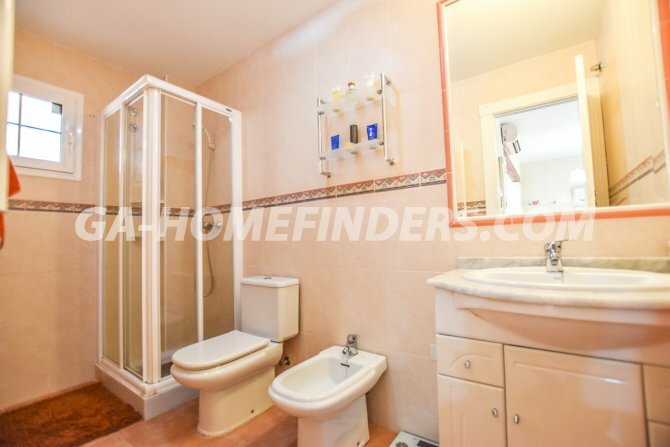 The house has gas central heating, and air conditioning (hot and cold). 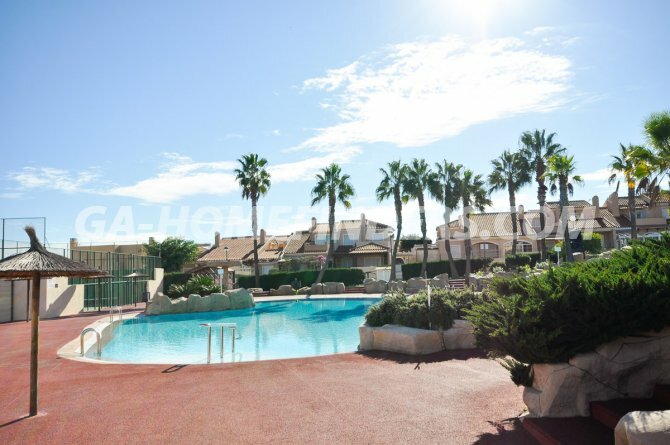 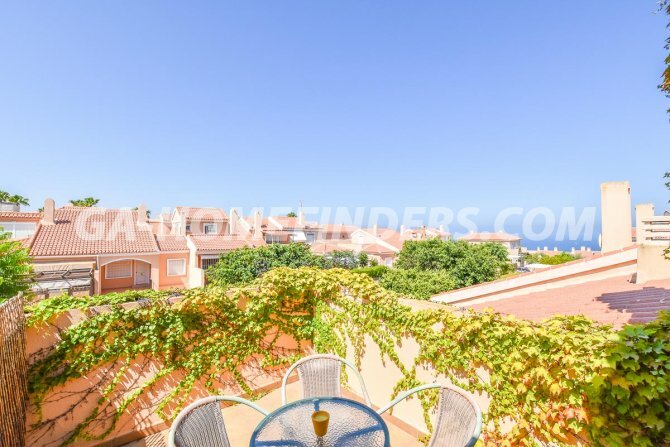 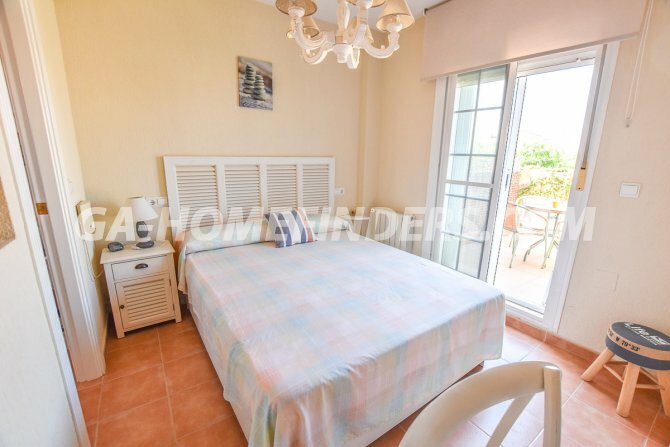 The main bedroom has an en suite bathroom and a nice terrace where there are wonderful views to Alicante. 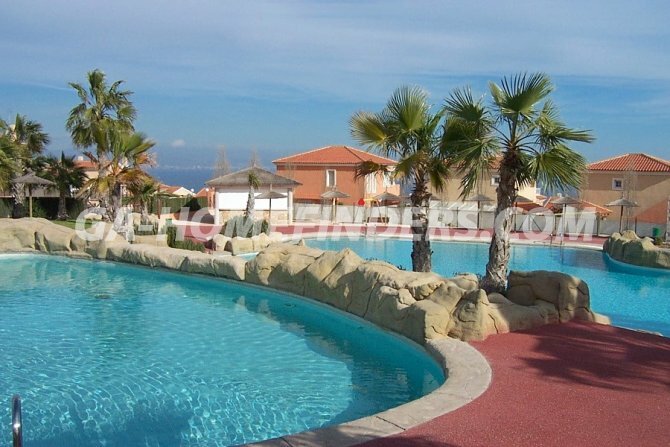 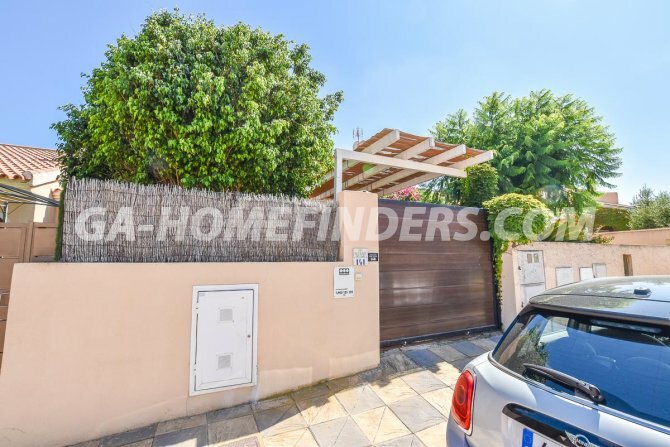 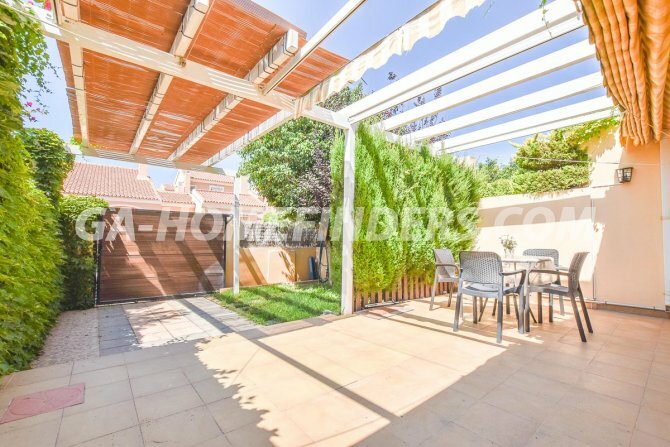 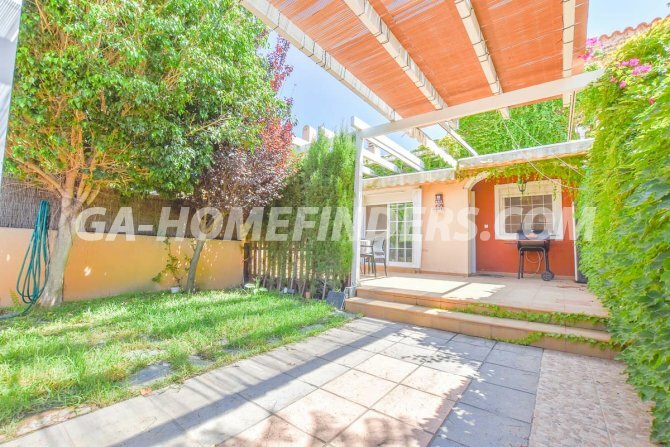 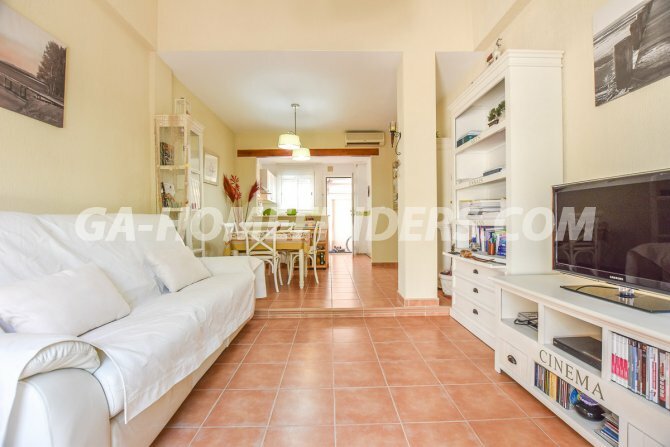 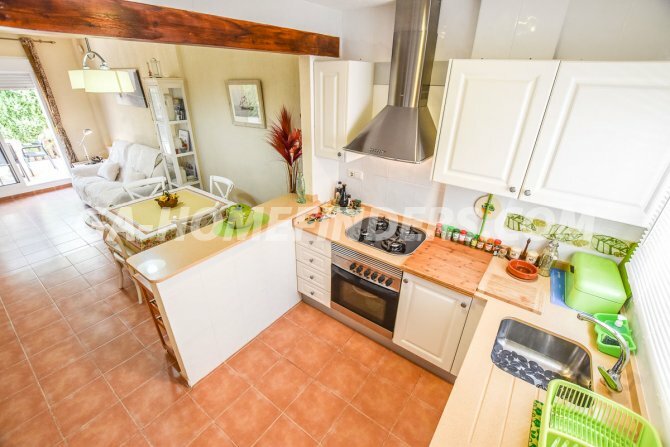 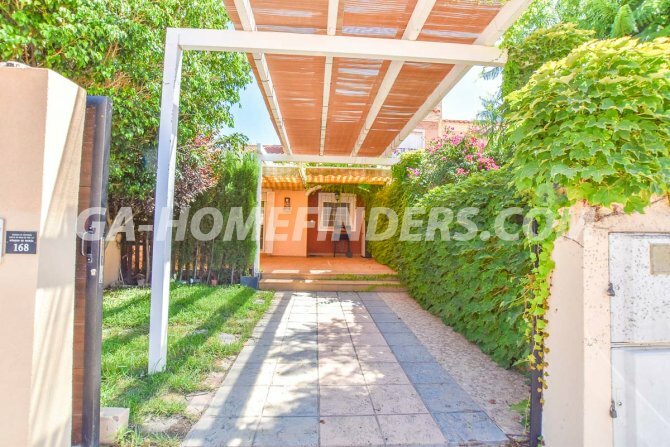 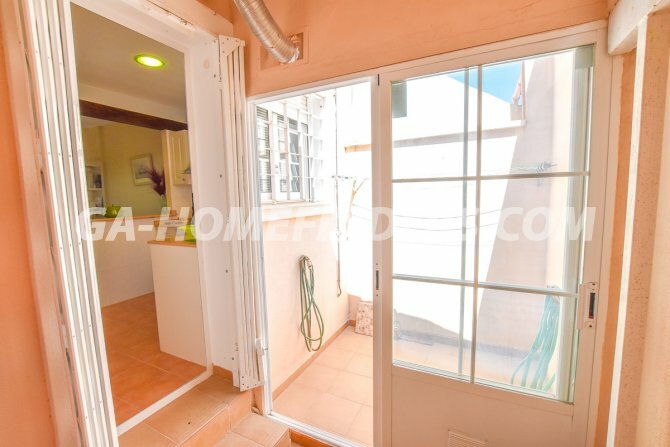 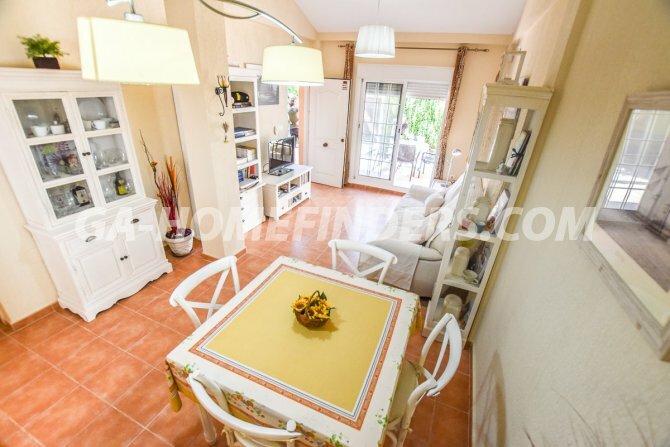 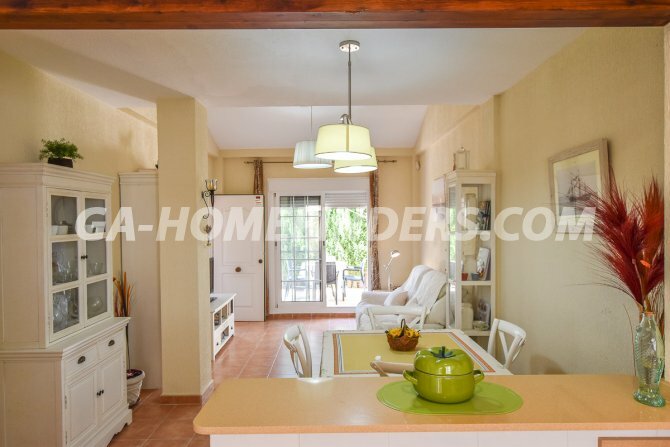 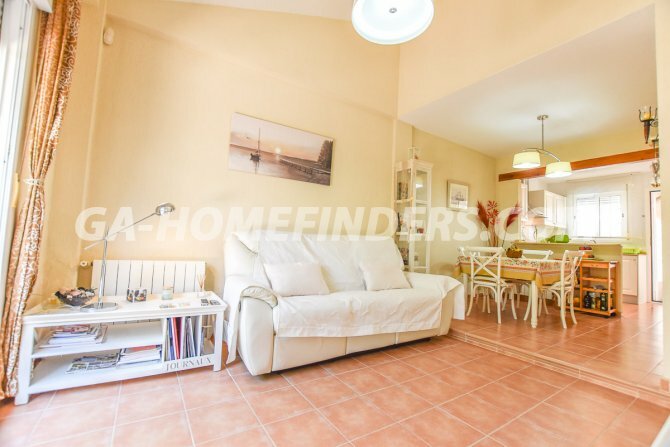 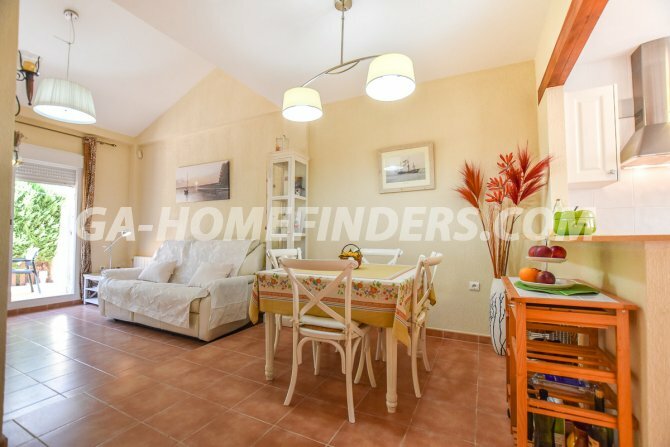 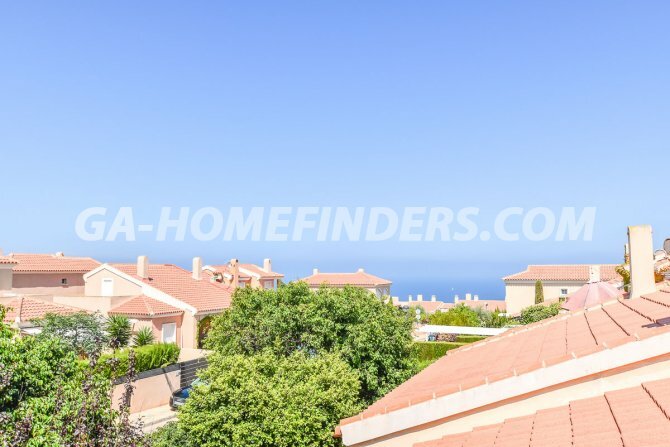 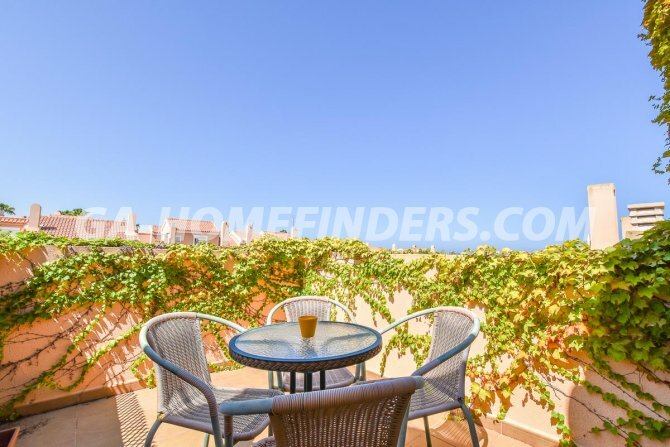 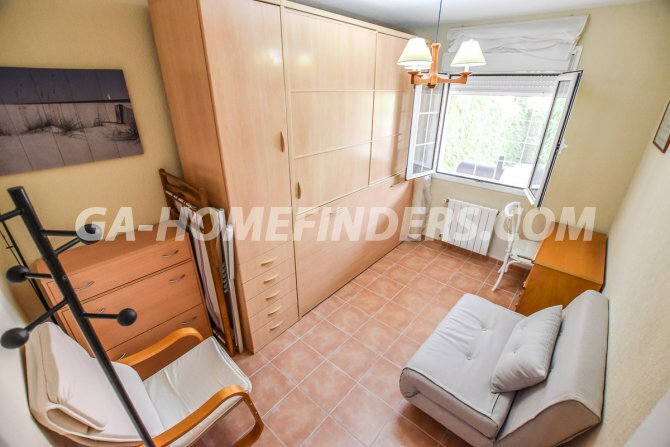 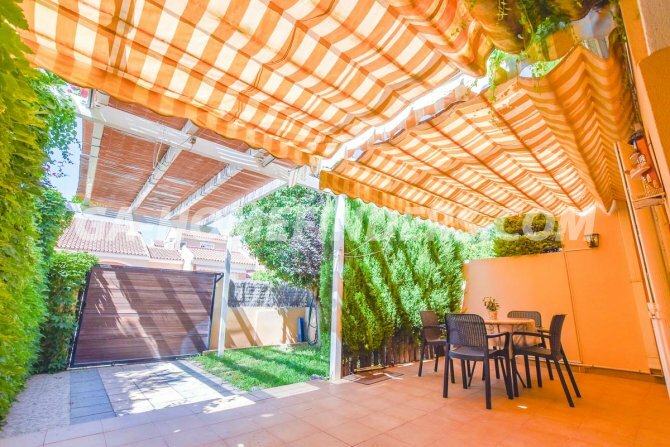 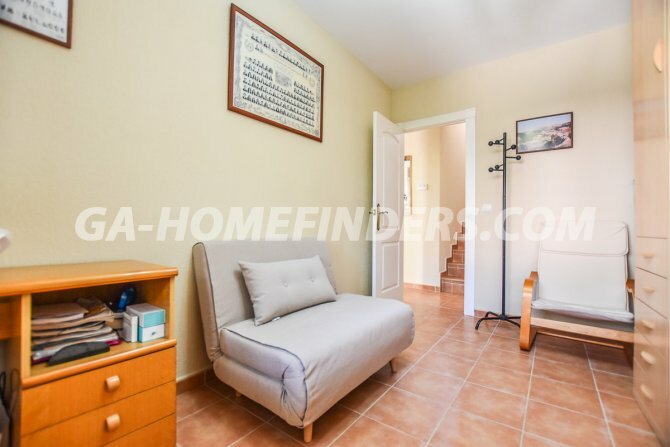 The house is located in the upper part of Gran Alacant, in a gated, quiet and very nice urbanisation, it has a communal pool and sports area, it is less than a 5 min drive from the Carabasi beach.